Style Savvy 3, aka Style Savvy Fashion Forward, will be making its North American debut on August 19th. The beloved 3DS title is the successor of the original Style Savvy released in 2008, and the sequel Style Savvy: Trendsetters in 2012. North American fans of the popular boutique fashion franchise have been waiting quite a while to get their hands on a copy as the game was released last year internationally. As always, the player can create their own character and manage their own clothing store by choosing which items to stock, help customers, and even dressing the mannequins in your shop’s window. However, this time around you can also take on the roles of hair stylist, model, makeup artist, and designer unlike previous games. In addition, players can face off against each other online in fashion contests, visit friends’ shops, and design a showroom for others around the globe to see. Style Savvy is incorporating more amiibo interaction too by giving players who use amiibos with the game special accessories. Your favorite characters like Mario, Kirby, Zelda, and Samus all bring items inspired by them. The game officially drops in the US on August 19th, but for those dying to play ( me!) the demo will be available on the Nintendo E-Shop August 4th for free. You may be asking yourself that question right now as you scroll through and wonder why you should even be remotely interested. Well I’ll be honest, this game is not for everyone and some may say it’s even a niche market. Style Savvy primarily caters to casual gamers and mostly seems to attract female players. This shouldn’t discourage males or more serious gamers from enjoying it though, because it is still a great game series with many colorful characters and limitless amount of choices. It can be a relaxing break from a RPG or side-scroller while holding onto rewarding gameplay (how about collecting 19,000 pieces of clothing?) and multiplayer modes. 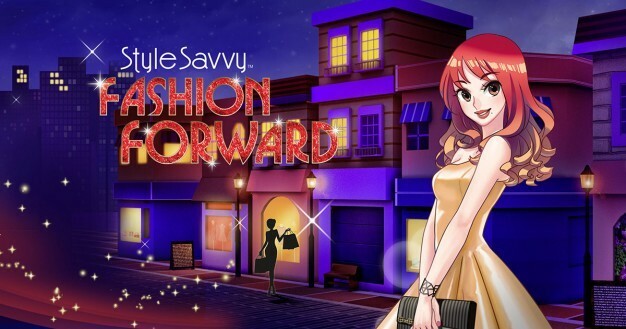 So who’s going to be joining me for Style Savvy: Fashion Forward?